Central Asia is a land of contrasts. This Asia is at the heart of the most massive continent, which gives its dry tone recognisable to the extension of its large desert stretches. Despite this continental aridity, the region is not lacking water. Powerful rivers have irrigated and fertilised ancient oasis cities and large agricultural lands for over half a century. This singular paradox of water profusion in the heart of an arid vastness is made possible thanks to a strong mountain range stretching from the Caspian Sea to China. Mountains are a water tower for plains and piedmonts concentrating human societies. For all that, water has become a source of concern in Central Asia. Its availability has never stopped declining because of population growth, urban development and mining activities. This results in an inevitable increase of water withdrawal and a deterioration of water quality. The shortage can be measured through the disappearance of wetland ecosystems (regions of Aral, Balkhash and lower Tarim) and the decline of irrigated land in some regions of Uzbekistan, Turkmenistan and Xinjiang. The threat of water scarcity exacerbates competitive responses between economic sectors (irrigated agriculture, hydropower, urban and industrial demand), but most importantly between states. In Central Asia water has an international dimension because of the existence of many transboundary rivers. The issue of water sharing is a source of tension, in particular between upstream states providing the resource (Kyrgyzstan, Tajikistan), and downstream states consuming it (Uzbekistan, Turkmenistan, Kazakhstan). 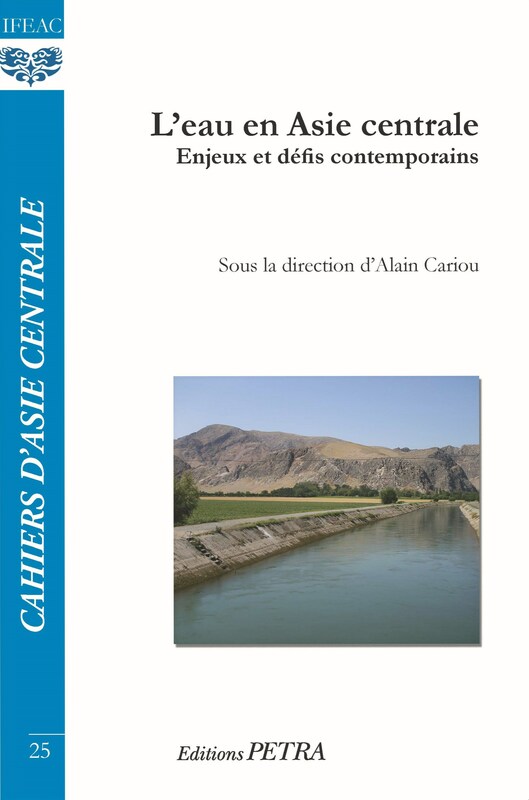 This issue of Cahiers d’Asie centrale regroups eight contributions, which explore water management through actors, uses, practices and water territories. The rich and varied analyses are provided by Western and Central Asian researchers from a wide disciplinary spectrum (geography, contemporary history, economics, ethnology, anthropology, political science, international law). They invite us to discuss water-related tensions falling mainly within a governance crisis. Transboundary Water Management in Central Asia. Legal Framework to Strengthen Interstate Cooperation and Increase Regional Security?